You know which one. The World Health Organization recently declared red and processed meat to be carcinogenic – the actual study didn’t ever say that it was as dangerous as smoking, but that’s what the headlines picked up on because the original report was written in a very confusing way. It’s important to actually take the WHO report seriously. Uncomfortable, but important. Science isn’t a team sport. It’s not about getting knee-jerk defensive of your “side” and attacking other people when they disagree. If there actually is something carcinogenic about red meat, defensively denying it won’t actually protect you from cancer down the line. But with that said, this particular study doesn’t provide solid evidence for actual effects in the real world. Here are 5 things you should know before you even start worrying about it. 1. “Carcinogenic” doesn’t mean what you think it does. The authors of the report never said that red or processed meat was “as dangerous as smoking.” Smoking and processed meat are categorized as Class 1 carcinogens because the authors of the report were equally confident about both of them causing cancer, not because they both cause the same amount of cancer. In the real world, the dangers of smoking are much, much greater than the dangers of eating meat (if those dangers even exist). Banana skins: not actually as dangerous as cars. To take an analogy, think of banana skins. They definitely can cause accidents… but in practice this doesn’t happen very often (unless you work in a banana factory). And the sort of harm you can come to from slipping on a banana skin isn’t generally as severe as, say, being in a car accident. Meat is like banana skins: the risk (according to the WHO, at least) is there, but injuries are rare and usually pretty small. Smoking is like cars: the risk is definitely there, and serious or even fatal injuries are common. You’d never say that banana skins are “as dangerous as cars,” because in the real world, you’re much more likely to get seriously hurt from a car accident than from slipping on a banana skin. If you’re interested in a deeper take, this breakdown from Skeptical Raptor is pretty good – and this is coming from someone who’s been critical of Paleo in the past, so you know it’s not just team-sport style defensiveness. 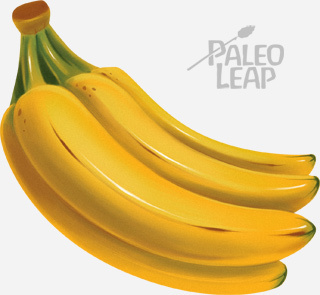 The banana skin analogy assumes that eating meat can be proven to pose at least some risk. But what if that’s not true? What if the data “proving” that risk is flawed? Grant Schofield takes on the studies that the ruling was based on here. Most of it is epidemiological, meaning that researchers study people with different diets to see what kinds of diets are associated with cancer. And some of the studies made really weird methodological choices. There’s a reason for this. Cancer can take decades to develop; you can’t keep real live humans in a lab for decades eating a controlled diet. It’s not because the scientists are lazy or stupid; there are just limits to the kinds of experiments you can reasonably do. But it always raises the eternal problem that two things can appear together without one necessarily causing the other. For example, poor people tend to eat the most processed meat (because that’s what they can afford), and poverty raises cancer risk in all kinds of ways that have nothing to do with salami and bologna. Here’s a thoughtful take on why fearmongering and moralizing over meat “causing cancer” does nothing to help address the systemic problems that keep poor people sick. If “red meat causes cancer” is really just a stand-in for “being poor causes cancer,” then bacon is not the problem we need to worry about. 4. The Explanations of How Red Meat “Causes Cancer” Don’t Account for Vegetables. From Examine.com, here’s a look at the potential mechanisms by which meat supposedly causes cancer, and an explanation of what they actually mean. The Paleo View podcast goes into more detail about this, specifically how a lot of the mechanisms don’t pan out if you eat your red meat with vegetables. So in other words, these observations about red meat or processed meat and cancer might be very relevant to people eating their meat with white bread and Coke (which is admittedly what most people do). But they don’t play out the same way if the meat comes with a side of broccoli. Maybe the best overall response isn’t from a scientist at all. This article in The Guardian is about the futility of trying to avoid everything that “causes cancer.” The air you breathe causes cancer. Sunshine causes cancer, but so does sunscreen, and so does staying inside to avoid the sun. You can spend all your time panicking about cancer…or you can live instead. Each added item on the list of known, proven, suspected, linked, possible or rumored carcinogens pales before the one thing that I know will certainly be fatal: life. The point isn’t that we should take stupid and unnecessary risks. But considering that red and processed meat have such tiny real-world effects on actual cancer risk, and that the effects might be even less relevant for people who eat them with vegetables, is it really worth panicking over? Nobody can decide for you if the potentially small risk of colon cancer from eating red meat outweighs the health benefits. But this particular paper doesn’t provide very compelling evidence of a large risk in the real world. 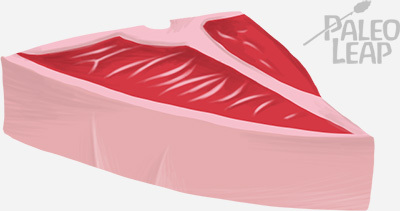 Are you planning to eat less red meat after the WHO report? Why or why not? Let us know on Facebook or Twitter!